SANFRANCISCO ? A NASA advisory panel is recommending that the Wide-field InfraredSurvey Explorer (WISE) mission end in October as originally planned instead ofcontinuing to search for comets, asteroids and stars during a three monthextended phase. While the WISEmission is expected to produce significant results, NASA?s 2010Astrophysics Senior Review Committee said there was not adequate scientificjustification to continue the mission once the spacecraft depletes its supplyof hydrogen used to cool the onboard telescope and detectors. The WISEspacecraft built by Ball Aerospace & Technologies Corp. of Boulder,Colo., carries an infrared telescope built by the Space Dynamics Laboratory ofLogan, Utah, that is designed to detect the faint glow of distant objects withinstruments chilled to the point where they produce no detectable infraredlight. The originalplan for the 10-month WISE mission, which was launched in December and managedby the Jet Propulsion Laboratory in Pasadena, Calif., includes one month foron-orbit checkout, followed by a six-month survey of the entire sky in fourwavelengths of infrared light. 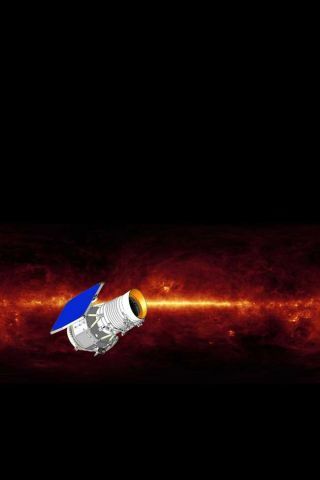 During thelast three months of the original mission, the WISE team plans to conduct asecond survey covering half the sky in those four infrared wavelengths. Because thespacecraft and telescope remain in excellent condition, Ned Wright, WISEprincipal investigator and a professor at the University of California, LosAngeles, proposed a three-monthextension of the mission to complete the second half of the second skysurvey in two of the four infrared wavelengths because those images could be capturedeven when the hydrogen supply is exhausted and the instruments can no longer bechilled. Thatadditional three-month project, known as Warm WISE, would have added $6.5million to the program?s $320 million price tag, according to NASA spokesmanJ.D. Harrington. WISE mission officials also proposed spending $8 million on anExtended Source Catalog, a detailed database of large objects, such as galaxiesand interstellar clouds of gas and dust, revealed in WISE imagery but not ofprimary concern to astronomers looking at specificstars or comets. Currently,WISE is producing approximately 7,500 images a day in each of four infraredwavelengths. Thatoriginal mission ?should produce a catalog and image atlas of great utility tothe entire astronomical community,? according to the report of the NASA reviewpanel. ?Although it is impressed with the promise of the cryogenic mission, theSenior Review Committee did not find adequate scientific justification in theproposal for the cost of either the Warm Extension or the Enhanced DataProducts. ?